The takeover of the ‘Klosters-Madrisa Bergbahnen’ company by a group of Swiss investors in 2014 has heralded in a new era for the Madrisa mountain. The new Administrative Board of the Madrisa cable railway last year completed a successful capital raising campaign, enjoying huge support from the local community. Together with bank borrowing, that put them in the position of being able to invest 22 million Swiss francs on targeted projects including the construction of a new six-seater chairlift, a new self-service restaurant and the expansion of snowmaking capabilities. This is extremely exciting for all those who love to ski in Klosters. 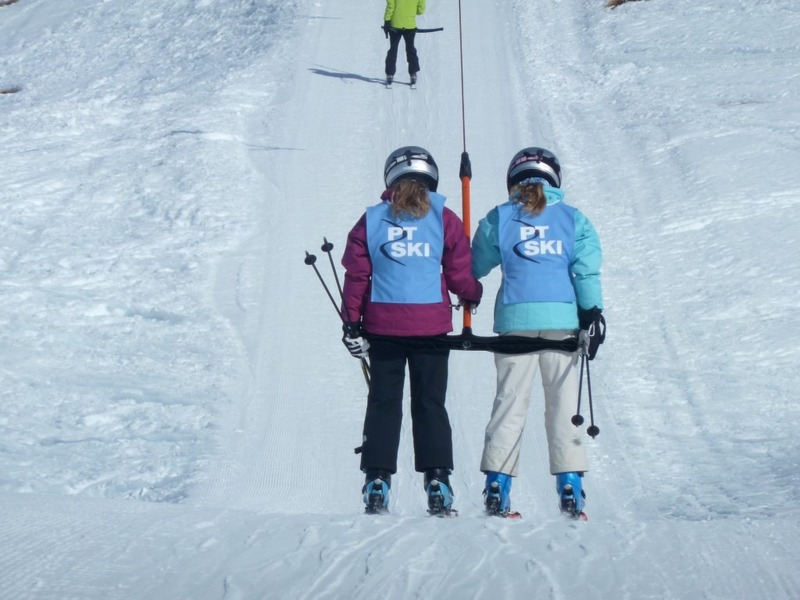 The existing parallel run double drag lift system originates from 1965 and unsurprisingly is no longer able to meet the needs of the modern skier. Remedying this was deemed a priority by the new management company. Planning was granted in April of this year and the new lift will be ready for winter 2016/17. It will have a capacity of 2’600 passengers per hour and furthermore will be the first of its kind in Switzerland, with features to make it special needs and child friendly. The design has increased protection for children such as the automatic actuation of the closing bar, a locking monitoring system before the lift exit and a special boarding system (when you enter the base station a laser control detects when a child or monoskier access the barrier and can automatically raise the entrance platform by about 10cm). Those who spent their formative years learning to ski on this mountain will remember endlessly falling off the “double T-bar” (as it affectionately became known) and they will be delighted that their children won’t suffer the same trials and tribulations. Together with the added snow making equipment (which will include on the FIS piste, one of the best slopes on the mountain) and new restaurant, this will considerably enhance the quality of a day on the Madrisa. We at PT Ski wish the mountain every success for winter 2016/17.